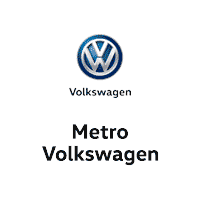 Metro VW is the Dealership near me to find the best deals on the 2018 VW Golf for sale. How much is a 2018 VW Golf? The new 2018 Volkswagen VW Golf in Fort Worth Dallas TX Area located in Irving is a compact car designed for auto shoppers who are looking for a vehicle that strikes a great balance between fun and function. It is comfortable to drive and features several high-tech gadgets that are designed to evoke many compliments. On top of that, it rides smoothly and provides a generous amount of cabin space for you, your passengers, and all of their stuff. Therefore, if you are shopping for a hatchback that offers a big luxury car feel in a small package, this vehicle would be ideal. And in spite of its generous interior space, the vehicle maintains a small and compact size that makes it feel very responsive on the road. This helps make the car easy to maneuver and park on tight city streets. When on the open highway, it cruises confidently and comfortably, delivering power that not many rivals can match. Individuals who are looking for an excellent package overall would appreciate the well-round nature of this vehicle. Its style and technology lean toward luxury. It offers outstanding practicality and a substantial amount of safety technology to keep you driving with confidence. Inside, the vehicle wears high-end materials with attractive finishes that closely mirror those of high-end luxury cars. 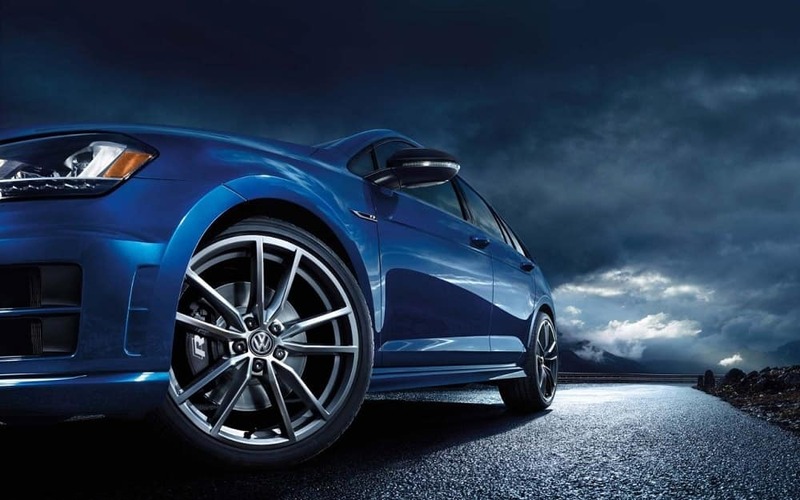 The 2018 Volkswagen VW Golf in Fort Worth Dallas TX Area located in Irving continues its tradition of bringing high-quality materials and soft-touch surfaces that deliver premium vibe. Not only will you be impressed with the dashboard and door panels which are adorned with well-finished materials and subtle brushed-aluminum accents, but you will also fall in love with piano-black accents which add more glow to the already bright interior. Support is provided in abundance, as is evident by the ample support and comfort provided by the front seats. 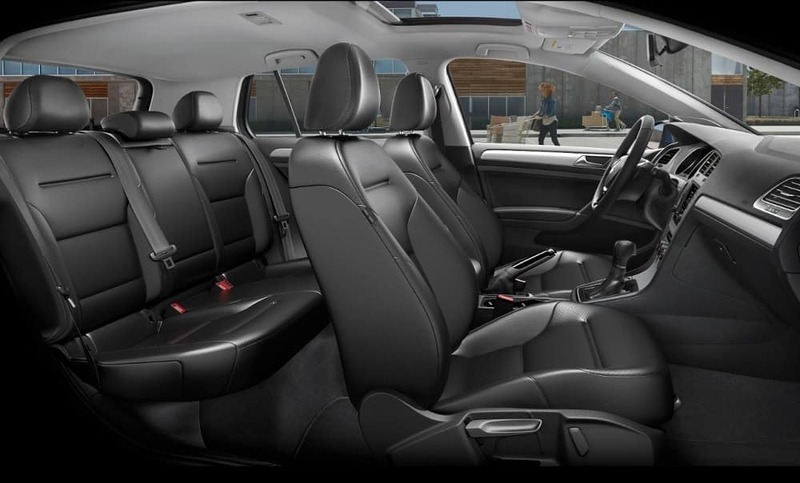 Your rear seat passengers will feel just as comfortable, thanks to well-bolstered seats that hold them in place. Also, there’s enough head- and legroom to allow them to travel in comfort even during long-distance journeys. Additionally, the adjustable cargo floor enables you to lower the cargo deck to create additional room for your cargo. Sound deadening equipment has been equipped to help quieten road and wind noise, while the standard rearview camera helps make reversing safer and more comfortable for you by allowing you to spot obstacles quickly and easily. A USB port that blends perfectly with the aesthetically pleasing interior has been built in to make it easier for you to connect and charge your smartphones and other mobile devices that can be powered through a USB port. The automaker’s Car-Net feature lets you make, receive, and even reply to text messages through voice commands. The exterior of the 2018 Volkswagen VW Golf in Fort Worth Dallas TX Area located in Irving is thoughtfully crafted to give you something to cheer about. It fits a powerful and more refined design that makes a more convincing first impression. Its new details give the front end a confident stance with unmistakable clarity. Specifically, the radiator grille and stylish headlights combine to wear an appearance that connects with the soul at first sight. Also, the lower chrome strip slapped on the grille extends both left and right, further making the car more appealing to the eyes. The redesigned cooling openings in the lower part of the car’s bumper help to underline its width, giving it a powerful presence on approach. Its new details help make the vehicle even more striking. To help enhance your safety, available car park distance control sensors have been placed in the front and rear of the car to alert you if you are getting close to any object that might damage your vehicle, such as a wall or parked car. Also, you will find the new interplay of the rear design to be quite as fascinating as you might have hoped. Many brilliant elements have been redesigned to help you catch the attention of those behind you. 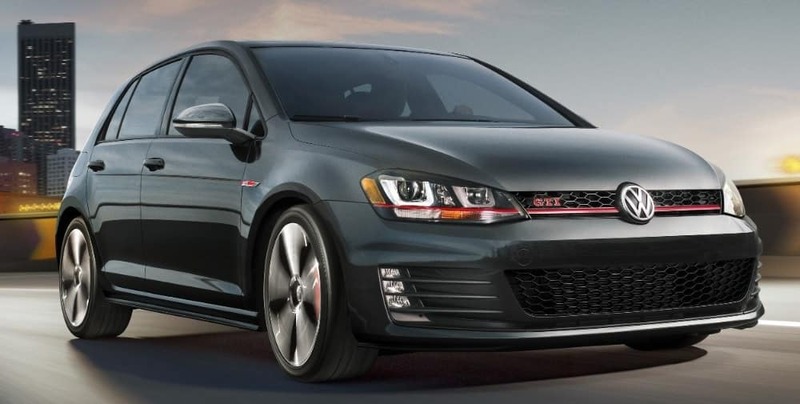 Moving the 2018 Volkswagen VW Golf in Fort Worth Dallas TX Area located in Irving is a standard turbocharged 1.8-liter four-cylinder engine that runs with a front wheel layout and a standard five speed manual transmission. Or an optional six speed automatic gearing system. It is rated to boost 170 horsepower and 199 pound feet of torque with the automatic layout and averages 184 pound feet of torque if you equip it with the manual drive. The Estimated fuel values for this engine stands at 29mpg combined, 25mpg city and 35mpg highway with the automatic version and presents 29mpg combined with the manual. There are well decent values to make it a top rival hatchback. Besides that, it maintains an excellent speed of 7.8 seconds to hit 60mph making it on the quickest cars in the category of small sedan/hatchback class. As you can see here, the 2018 Volkswagen VW Golf in Fort Worth Dallas TX comes in many different forms and configurations. Alltrack, GTI, R, Sportwagen, and “traditional” version are all available. the Golf is one of the most versatile models we have because it comes in so many different configurations. This ensure that this car is able to suit the needs of the many, but still remain the same great car that the industry has come to love and adore. Contact us today for a full breakdown of each version and we will be happy to get all your questions answered and your taken care of.